We can offer you expert advice to evaluate the best options for your individual circumstances. Anchor Roofing can offer expert advice and professional roof and flat roof repairs in a variety of building types. From the renovation of listed and period buildings, including churches and stately homes to domestic, private and commercial work. All work is carried out to exceptionally high standards, is fully insured and guaranteed and is supervised at all times by professional tradesmen who have worked with Anchor Roofing for many years. Anchor Roofing is a successful roofing company that offers a professional, reliable and friendly service right from start to finish. Anchor Roofing has accomplished the knowledge and experience to deal with any problem however big or small. The company has built a highly respected reputation within the building industry for quality work. Anchor Roofing specialise in high quality, traditional, modern roof coverings on residential and commercial properties. We are able to work with all roofing products includes tiles, slates, felt and lead on all styles of pitched and flat roofs. Anchor Roofing team consists of a group of experienced and hardworking tradesmen who are friendly and always willing to answer questions. We guarantee to provide domestic clients the highest quality of service and expertise ensuring a high level of customer satisfaction. As a company we understand that you have busy lives so you can rest assured that with Anchor Roofing we will make your roofing needs as simple and stress free as possible. 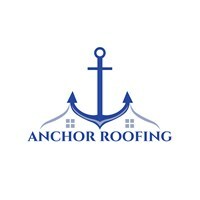 Whether at tender stage or completion, the key aspect of the service provided by Anchor Roofing is the personal touch. We take great care to ensure that all our customers are happy with the works carried out and pride ourselves on the high level of service we provide, not only during works but also in our aftercare policy. Anchor Roofing make every effort to eliminate the stress and ensure that all runs smoothly with the minimum amount of disruption to you. Our aim is to leave you satisfied with all works carried out so that you recommend our services to others.